The absences must be marked as well as the presences. 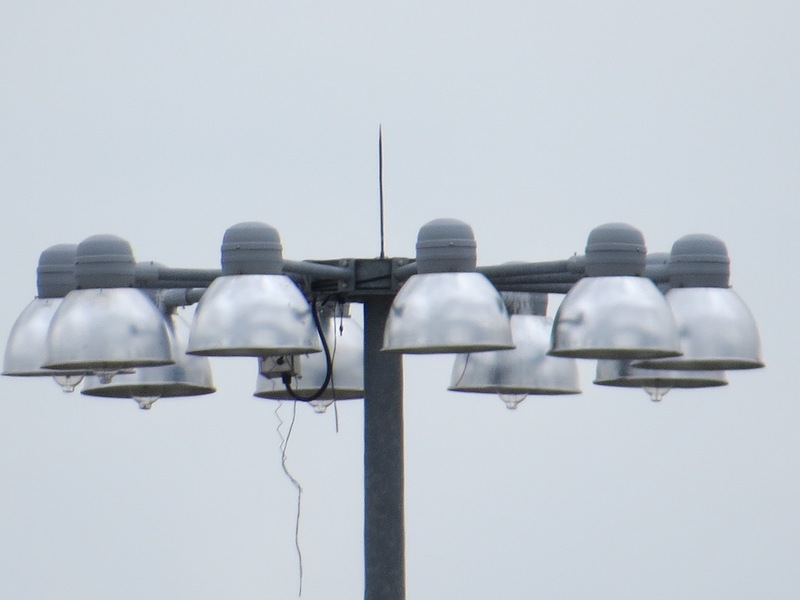 Last spring, a pair of Osprey nested on this very tall light post above the parking lot at the South Brooklyn Marine Terminal. Barely a twig remains. The SBMT pair had at least one youngster. What happened then? The adults would have flown south by September or October. The fledgling, if it survived, would have as well, but with no experience of migration to call upon. A bird’s first year is its most dangerous. Older birds are survivors in every sense, and much wiser. I know of Osprey from Nantucket and Jamaica Bay whose migrations have been satellite-tracked to Colombia. It takes about 14 days of flying to make the trip from NYC, and roughly the same time to fly back. Some may fly further south, some not as far. Paired birds split up in the fall, then reunite, if all goes well, on their return to the nesting site in the spring. With so many hazards along the way, it’s remarkable that any return year after year. But of course, some don’t. Trump will need no other epitaph than Rebecca Solnit’s.